WORDS ARE THE SWORD OF YOUR INTELLECT. USE THEM WISELY AND IN GOOD CAUSE AND NATURE. When you do not walk in the LIGHT of your being and you walk in the shadow of others you are kept in the dark. Reignite your inner flame and make friends with yourself, for you are most important to yourself. If you do not grasp this then you will look for substitutes. If you become dependent on others to do your thinking and your rationale then you may require excessive recreation or self-indulgence. To become self-empowered is to become enlightened. Come grab your spears and become warriors. Awaken to the tribe of your soul and starseed. For your sovereignty and duties of your soul require thinking and activities from your very own hands, mind and soul. Unless of course, you want to be saved and become a sheep in The Matrix. Honour your words and honour your speak. Your words represent that which comes from your inner. People automatically make judgments about you by what it is you speak of. You should realise that it shows what you are, your level of education and your knowledge. In addition to being power, knowledge is expressed through language and voice. So be in remembrance of what it is you say to others and how it is you display yourself as this becomes the image people hold you to. Words are the sword of your intellect. Words have power. For even witches know how to ‘spell’. Author theteachingsofquentialPosted on October 1, 2017 January 16, 2018 Leave a comment on WORDS ARE THE SWORD OF YOUR INTELLECT. USE THEM WISELY AND IN GOOD CAUSE AND NATURE. ARE YOU LOADING YOUR VESSEL WITH STONES SO THAT YOU ARE SINKING? In your daily affairs just know that many people toss the stones of their inner turmoil at you and others as a way of venting their own frustration. Sometimes you are in need of being directed to your negligence, and the voicing of this is necessary. But understand in your world people propel their missiles of inner pain and frustration with more cargo than you deserve. You must learn to discharge this, or it will be stowed away inside as cargo that weights your soul with a calling of negative value in your goods. You must be ever vigilant in your life to see these exchanges and to reject them for your passage at once. Say to the sender, in essence, you care not to carry this and acknowledge the package with your position and leave it at the dry dock. Learn to port yourself and process these old stale units and unload them in your psyche. You need to stay LIGHT in your vessel, stuffing the negative just weights you and serves no purpose. Know then, this does not mean that from here on you are finished with carrying other mass that is from earlier painful reactions and rejections that you are still harbouring. Making yourself ship worthy is based on the condition of your vessel and your cargo. So in conclusion, it is better to load of valuable goods by being around people that your packages are welcomed, and they give your vessel goods upon your ship you are proud to carry. Good luck upon your journeys captains! Just know that is one of your tasks in life along with the courses you choose to navigate to. Author theteachingsofquentialPosted on October 1, 2017 January 16, 2018 Leave a comment on ARE YOU LOADING YOUR VESSEL WITH STONES SO THAT YOU ARE SINKING? WHEN YOUR SOUL TAPS YOU ON THE SHOULDER, LISTEN. Many a time we get notions and inferences that something is a brew in our lives, work and relationships and that is a sacred communication that one should yield to. When we are out of balance our eyes and mind sees and feels that we need to make some corrections and bring communication to address the things that we notice. It is best to catch things at a simmer before situations in your life boil over with energies and reactions caused by our negligence. Dear souls, when you have an inner radar and guide, that is your soul and consciousness telling you things. Listen and let not the body and Earth mind drag too far behind or what has rooted will turn into greater disease and discomfort. Learn to listen to your instincts for they are real. When you feel that something in the environment of people is negative and does not feel right, leave. For the energies collected are emanating from a negative breeder (someone in turmoil) and this is a gateway for lower vibrational entities to gather. Staying positive includes being away from distortion fields that are in your workplace, home and the very places you may go to eat. As you begin to raise your vibrations these residue as people have reactive piles. Their issues and negative fields can and will affect you. The energy of the world is calling LIGHT and energy to that which is hidden within you. The nature of people will become more polarized in their negative and positive states and substance of Akasic memories. Know this, because staying awake requires a deeper sensitivity to energy and these negative vibrations will collect in your solar plexus and discomfort you. Learn to smudge yourselves and to clear your own energy pathways as a daily practice to cleanse your emotional bodies that are becoming hypersensitive, both to negative lower astral realms and the higher frequencies. Author theteachingsofquentialPosted on October 1, 2017 Leave a comment on WHEN YOUR SOUL TAPS YOU ON THE SHOULDER, LISTEN. AND IS THIS DAY YOUR BREATH OF INSPIRATION OR THE COUNTERS TO YOUR “DUTIES” AND FEARS OF OTHERS? All too often we wake up or take to bed apparent necessities we automatically feel we have to address that haunts us to no end. If this is your stature, you might want to understand that this program is running you and you are not running your owned affairs. Little do you know or remember that your early childhood programming of what you should do or what is “gods” way is overriding your own authenticity and moments of time making you a pleaser and a slave to things that do not necessarily work for your freedoms and present time. You will know these ingrams because they do not have an off button and enslave you by making you concerned beyond measure. Dear souls, when your inner tranquility and time of rest is invaded by an endless mental rattle it is of the time to question the dominate ghost in your head that still has a cord to your souls and mind. If you do not grasp this mental infection, then it will become more neurotic as you lose yourself expression in the years passing. Although your parents and religious icons were important in your early stages of your life during your formative years, they are the imprint of your parents and become the strings that you must cut and find yourself with your own information that is in the present dynamic. Learn to see these imbalances and work to quiet the pleaser and take charge of your mind and self-authenticity. By no means do I say be irresponsible to your duties of family and work, but rather learn to contain these actions for an allotted time but do not let this consume your entire field of awareness. The mind needs to be busy so feed it knowledge of good character and study for at least 1 hour a day to expand your knowledge and keep you in growth. Know the same goes for your idle chat with people. Keep this to 1 hour a day and learn that it is better to spend quality time than the endless chatter of your own restlessness and idleness. Resolve this within to your own review and trouble not others with your issues for they really have plenty of their own issues and do not want to hear about you but only themselves and their realities. Learn this lesson, and your life and friendships will change. Author theteachingsofquentialPosted on October 1, 2017 January 16, 2018 Leave a comment on AND IS THIS DAY YOUR BREATH OF INSPIRATION OR THE COUNTERS TO YOUR “DUTIES” AND FEARS OF OTHERS? THE RECALIBRATION OF YOUR VALUE BEGINS WITHIN YOURSELF AND FINDING THE MOMENT OF PEACE WITHIN. Recalibrate and find peace in your heart and be of the moment. Worry not about how others feel for you for if you do, you are still mirroring your projection of self-doubt and everyone around you is empowering that illusion you have of yourself. So start within yourself and form LOVE in this moment. Make this your meditation in the next few days as the energy from the Sun coming across the planet will inspire great sediment of LOVE and LIGHT in yourself based on what it is you hold yourself to be. This is a time of great change so let go of anyone that does not encourage your SELF-worth and growth. Set your ground work and your boundaries or be in the illusion of your false perception of the value that you have gathered with these beings around you. It is now time to re-qualify who it is you are. Change your views and your vision will be changed, it is all a matter of your perspective. Just remember this, their souls and your habits become your ‘have its’. Always understand that no matter what tribulation or moments you are experiencing there’s always an opening and a way out. You just have to look for the right moment and the right wave of cycles and your soul will guide you, eyes open. For it is upon you to be dynamic and not suppressed as an entity and the universe will reward your growth to overcome the illusions you have piled upon yourself when you’re ready to make growth. “Supreme evolution and knowing yourself in perfection” then you will find that which is the presence of the universe and you will find the love, for you will be loved and in meaning. Be obedient to the nurturing and guidance of your soul’s knots to institutions and governments or people. This is your integrity and is your mark of who you are. When your mind is set with oneness of your soul, you will affect all that is around you with your wavelength in force field. Know of this power and remember you are all learning in the boot camp of Earth. Author theteachingsofquentialPosted on October 1, 2017 October 1, 2017 Leave a comment on THE RECALIBRATION OF YOUR VALUE BEGINS WITHIN YOURSELF AND FINDING THE MOMENT OF PEACE WITHIN. YOU ARE BEING DISTRESSED TO LEAVE THE MATRIX MOVIE FOR A REASON. The Bringers of the Dawn are in vigilant inventory of humans that have certain light advancement at their soul body union and are monitoring and protecting those of worthy evolution. The next two years are going to be very turbulent with strange weather and excessive heat, winds, fires, and meteors. You are awakening to the realms that you already know. For these are the realms of the soul and not the prison world of this matrix that you sojourn on. This is not magic, religious or anything but the vision of the projector and the exiting from the theatre that your body holds you to. Many have been going to the restroom as it were and realizing that they were glued to a movie that someone else has created for their entertainment. Except the movie has many commercials by corporations, secret orders and agendas to teach you what you know, with a twist that serves their agendas and public hypnosis. This is your world. We are the ushers with the lights that will guide you during these times. For many are uncomfortable, are getting up and making a release from the MOVIE, and conditions are making them remember that they are from somewhere else but have been engrossed in a dream of a movie. So know this, your lives are quickening to a newer frequency. Your jobs will change, you will feel it time to move and you will find endings in many of your relationships that have been tying you into the negative exchanges to keep you stuck. It is like the energies are flowing and you are being uprooted to flow down the currents of life and there is nothing to hold onto but a new beginning and encounter. Stay clear and in the moment. Make all that you exchange within peace, calmness, and order, for you need the frequencies of the higher self to set in the seat of your soul between the lobes of your brains. So make your house clear for the King and Queen in your gender. They will become your oversoul for many of you and restore your integration of your true and ancient memories and knowing that you have been not able to see. As you term it the iris of the inner mind, the pituitary gland and the pineal gland are going to centre with the new frequencies. Many of you are beginning to experience energies flowing out your hands and feet and intense visions and geometric primal forms of the higher astral realms beyond the flesh and bone, but of the highest of light spark to come as an upgrade into your vehicles. This is not for those that are stuck in the Movie and glued to the Matrix, as you have been told. During these times use your highest options of your know, and follow your pulling to making the changes necessary. Get plenty of rest and make the stuffing of food less so that your connections to the Movie can be less encased into this illusion. I will bring more updates to you soon. Author theteachingsofquentialPosted on October 1, 2017 October 1, 2017 Leave a comment on YOU ARE BEING DISTRESSED TO LEAVE THE MATRIX MOVIE FOR A REASON. YOU HOLD THE CONTENTS OF YOUR VALUE IN THE COMPANY OF YOUR KEEPING. Dear souls, do you know that you hold the value of your being by what it is you hold onto within yourself? Yes, indeed you are a collection of experiences, reactions, states, and emotion. This becomes your radiance and frequency. Know this, that people around you are your pacers, for you modulate with them on many levels and process their realities by just being in their presence. Perhaps a closer view of those you keep in contact with will open your eyes to just how much your company of fellows affects your state of being. Learn to be perceptive of how you feel around people and modulate just how much you open up yourself to them based on what you are feeling inside. This is always the measure of your presence and theirs in a relationship of connection. One very important trait among people is that there are the achievers and there are complainers, all of which elements mark the person’s reality. For everything you say and feel is a result of your inner states and the way you handle life and problems (in short, the way you cope). I point this out in this teaching to be aware of what is going on in and on the planet. The Nature and the core that is of everyone is starting to manifest a mandate “change recalibrate to the higher frequencies” or stay stuck and emanate a heightened distorted frequency of agitation. Know this my brethren, that complainers are toxic to be around and are holding lots of turmoil of rejection and self-judgment and are very stuck in pain that they react and send very negative frequencies that can be infectious. Especially now that the world is going through metamorphic rate upgrades tying the astral realms to the three dimension fields. 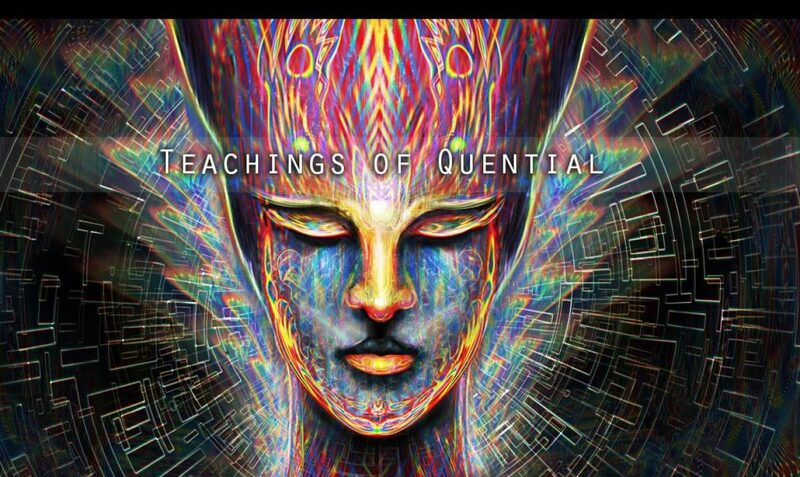 Your world is going through quanta of new states of frequency and experience. It is ever so wise now to do daily aura cleansing and grounding to keep your current high and vibrating for your force fields and alignment of your contents of the soul in your bodies. Think of your current like a light bulb. The more current you run the greater your radiance, the greater your radiance the more you can see as this lights the way for your path and vision. Dear souls, now are the great times to shine and find your inner peace and tranquility by not discounting your moments of the present by the pulling of time segments that you currently do not flow in time and space with, for this robs you of the power of concentrated presence and experience. Being current means holding your presence in a great state of being and focus, so learn this art. Be aware of the quickening within your presence and be with those of higher knowing and LOVE, for it is now the time to collect this around yourself. Be aware of the quickening within your presence and be with those of higher knowing and LOVE, for it is now the time to collect this around yourself. Author theteachingsofquentialPosted on October 1, 2017 April 30, 2018 Leave a comment on YOU HOLD THE CONTENTS OF YOUR VALUE IN THE COMPANY OF YOUR KEEPING.